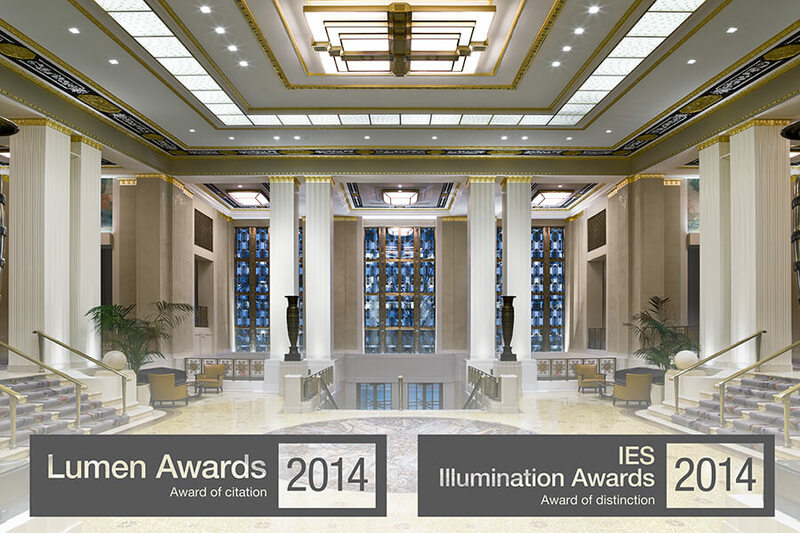 Cooley Monato Studio was awarded the Distinction and Citation prizes attributed by IES Illumination Awards 2014 and Lumen Awards 2014, respectively, for the studio’s work on the lobby and entry of the Waldorf Astoria Park Avenue in New York City. We are proud to have been part of the adventure and wish to thank the studio for trusting us. Contributing to keeping this legendary hotel alive was a mission that has captivated us for months. Our lasting collaboration with the studio is a reward in itself. Congratulations to CoMos’s lighting designers. The Horizon Wet and Horizon Mini Wet were used to illuminate the facade of the iconic building and reveal its exterior ornaments. The Horizon were installed to detail, through wall grazing, the walls and columns’ fresco paintings and sculptures. 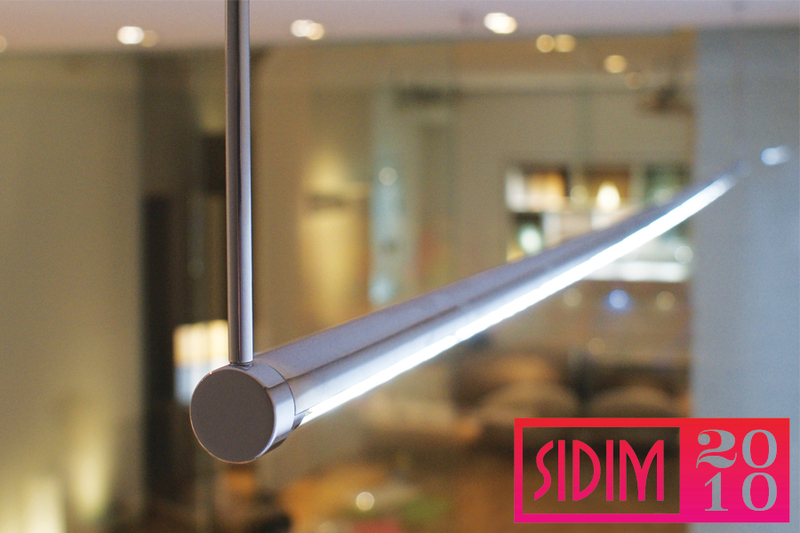 At the 22nd Montreal International Interior Design Show (SIDIM), Eklipse was awarded the first prize in the “personal favourite, lighting space” category for its STREAMLINE linear LED product. 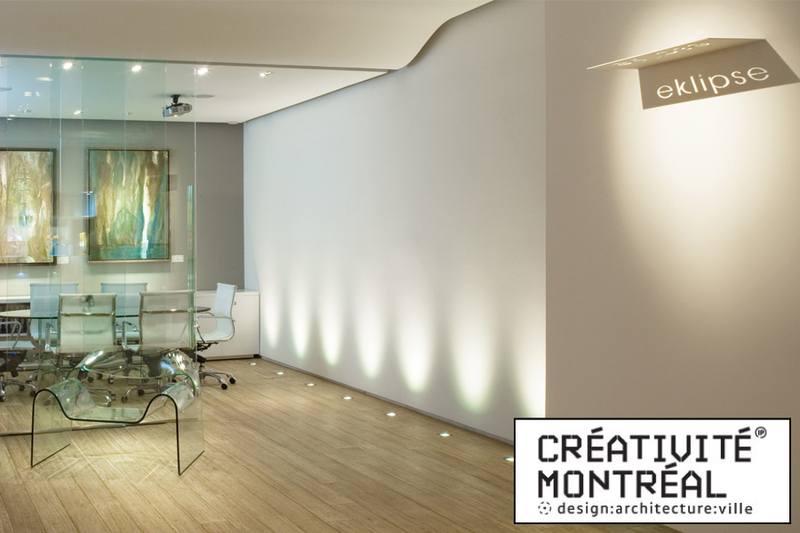 Eklipse Lighting was awarded the Créativité Montréal 2008 Grand Prize in the Showroom/Promotional Space category, for Le Studio, a sober and refined showroom, just like its products. In a space that is wide-open, without direction, white walls offer a canvass ready to receive the artist’s work, in this case, the light. “The objective is to let the light live, limiting elements or information in the space that could impair the experience” says André Pallai, founder of Eklipse Lighting and the Studio. Rough and natural materials (bamboo, recycled wood beams, stone, cement and glass) were chosen to build this organic milieu where light plays the first role in occupying the space. Rock-shaped footings, wool ottomans from Africa, highlight the ensemble and blend into the minimal décor, giving warmth to the showroom.